Distilled in 1988, this had slumbered in the warehouse at Aberfeldy for around 25 years before it was opened up for direct sampling during warehouse tours. We were guessing a cask strength of around mid 50%’s ABV and as we sampled it mid-2014 we added a year to make this 26 years old. During an experimental Whisky Geek Tour at Aberfeldy on 10th May 2014 we were shown around the distillery by the eminent whisky geek/tour guide George. During this extended tour we were given detailed information on the operation of Aberfeldy distillery and a lot of the science and technical expertise behind the whisky produced there. The tour culminated in a wee nosing and tasting session in the warehouse during which we observed some of the pot ale, spent lees and differing cuts of the Aberfeldy new make as well as seriously investigating this beauty of a dram, after having some fun trying to get the bung out! Possibly one of the best drams we have tasted. There is a lot to be said about the ambiance and tasting of whisky in a traditional dunnage warehouse straight from the cask. Presumably this is how a lot of master blenders sample their stock and so I feel this really is the most accurate way of ascertaining the true character of the whisky. That said on a high of whisky geekery and information overload, this whisky was a well-received conclusion to our tour and was always going to go down well. Having conversed with others who have also had the chance to sample this cask it appears pretty unanimous that this is a superlative whisky from Aberfeldy. Hi Torben, you know I can’t remember if we asked or not on this occasion but I’m pretty sure if we did ask then we were told it wasn’t possible. 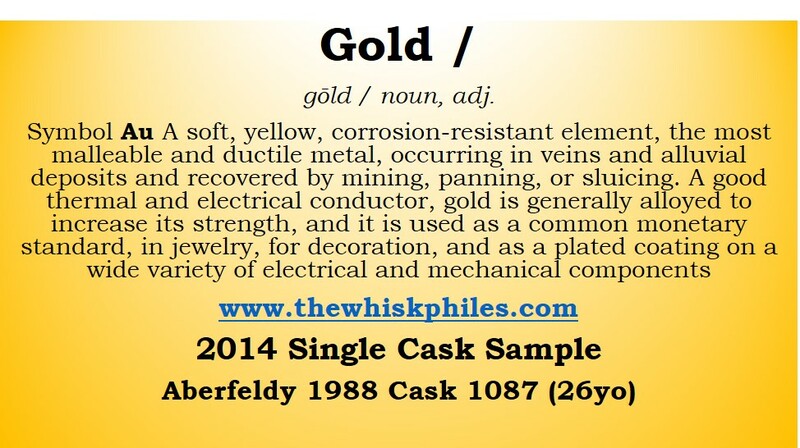 We have definitely asked at other distilleries and been refused – I’m not sure if it is due to complications with VAT and excise duty payments as the cask is still in bond but presumably duty paid for sampling when in the warehouse – as opposed to casks setup for hand-fill bottling where duty is paid once in the bottle? 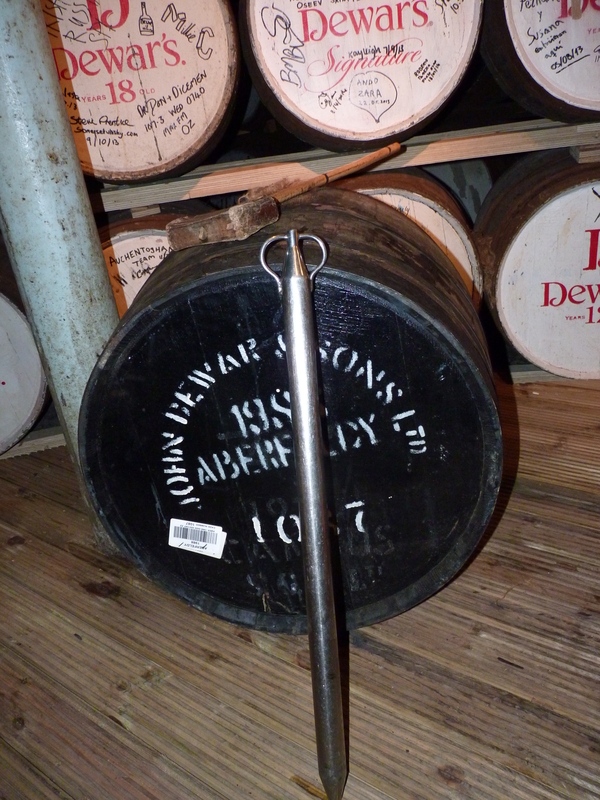 I guess if you really want to try this then visit Aberfeldy distillery – it really is a beautiful place. My pal and I had the opportunity to taste this dram in the warehouse last year, quite alone by ourselves, reminded me of the film “Angel’s share” heh heh. finest dram I’ve ever tasted… sublime in all respects, oily, perfect strength. I´m the German pal from Colin Christie….and I´ll never forget this great moment of tasting this wonderful perfect dram in the warehouse of Aberfeldy Distillery. Thanks to the tour guide George! ….and my pal Colin of course!